We bought a new car this week, which is on the one hand really exciting, but on the other hand also really sad, because in order to afford this new car, we had to trade in our old car, and my friends… I loved that car. You probably wouldn’t have guessed that I loved her from the state of her. Ramona was not well taken care of, especially in our early days together. She was always dirty and in need of repair, and her insides were FULL of dog fur. But… we’d been through a lot together. For a while all I really had was my dog Gio, and my Jeep, Ramona. Romana transported me not just to and from work and school, but she also got me from Ohio to Connecticut where I started a whole new job - a whole new life - and met The Mr. When we got married, the kids that we work with at the church all worked together and surprised us by decorating Ramona with ridiculous “just married” graffiti, and because we thought it suited her, that stuff stayed on there for at least six months. It would have stayed on longer, but when we came home for Christmas, my dad was so horrified that he went out there at 6am on Christmas morning and scrubbed it all off himself. Luckily, he forgot to check our interior rearview mirror. Ramona brought us to the house where we met and picked up Aloy. She’s been a part of everything. And in so many ways, as we began to sign dotted lines at the dealership, I felt this overwhelming sense of guilt. We were literally trading her in for a younger model. But The Mr reminded me that this was all good and that Ramona was going to probably have a great time at a farm upstate. I realize at this point that a lot of you might be reading this and thinking “wow, I knew Emelie was a little wacky, but… she knows the car doesn’t actually, like, feel things, right?” And to that I say you’ve clearly underestimated my delightful insanity. As did our car dealer. Me (to the car dealer): Please don’t judge me when you see me hug our old Jeep goodbye. Dealer: Nah… I’ll only judge you if you cry. Me: You’re definitely going to judge me. I ran up and hugged her goodbye without even noticing that billboard across the street, and it’s not like I’m not a fan of Jesus, but NOT EVERYTHING IS ABOUT YOU, JESUS. GOD. I love you, Ramona. Thanks for everything. And Rubi? You’ve got some big wheels to fill, but I’ve got a good feeling about you. If you follow me on Instagram, I think we all knew I was heading in this direction. I live in the middle of nowhere on an abundance of land. I often document my (weirdly successful) attempts to make my own skincare and home cleaning products, and last year The Mr and I (somewhat unsuccessfully) started a raised bed vegetable garden. So…. was anyone really that shocked to see that I bought this book the other day? Gio really missed his calling as a model. Buy the book here. Check out her blog here. This lovely little book called out to me at work in the bookshop the other day, and much to The Mr’s and I’m sure many others’ concern, I brought it home and immediately dove in. Because you know what? I kind of do want to be a modern homesteader. Not, like, in a poop-in-a-bucket prepper kind of way, but just in a “hey, I make or grow what I can” kind of way. Eventually I’d like to find a 1-2 acre plot of land with a small, livable house already on it for like… not a lot of money? On this plot of land I’d like to have a decent vegetable garden that grows enough to make up for a lot of our food. I thin I’d like some chickens for eggs, and maybe some goats or a cow for milk. And that’s it. The house would be an ongoing project that we would constantly be working on. This is not a thing that will happen any time soon, however, so until then, I’m going to do what I can and try new things as I’m able to. We have a nice little raised bed garden on the property we are currently renting and I’m going to learn from last year and go for it again this year. I want to learn to make and mend instead of throwing away and replacing. And I’m going to fail a lot. It will undoubtedly be hilarious and you know I’m not going to hide any of it. I’ll be posting about it on instagram and here on the blog as much as I can. BUT DON’T WORRY: This is not going to be a blog all about homesteading now! Just sometimes. Because it’s a thing I do now. And I’m not very good at it. What about you? Do you consider yourself a homesteader? What tips and tricks have you learned over the years? I need all the help I can get, so please feel free to share your knowledge down below! So… December happened and I guess I kind of blacked out there for a minute? Basically I tripped and fell into a bunch of knitting projects and diy skincare gifts for my family and forgot that I have a writing career that I’m supposed to be keeping up with. Oops! But the good news is that I’m back, and this accidental break from writing might have been exactly what I needed. I’m feeling refreshed and excited to get back to my keyboard, and that feeling is so perfectly timed with a new year right around the corner! I’m not big on resolutions or that whole “new year, new you” concept, but I do like any opportunity to set goals. For example, this year, I want to really hone my personal essay writing skills. I want to get back into meditation (Headspace is 40% off right now, btw!! ), and I want to up my game when it comes to submissions. On a more personal level, I want to judge less - both in terms of myself and others. I guess those count as resolutions? I don’t know, but hey, no judgement, right? I guess Resolutions get a bad rap, don’t they? Aren’t they really just goals? I think it’s good to have goals to work toward, as long as those goals aren’t “hey, I want to murder at least 15 more people this year” or “Let’s burn down more museums!” Those I feel are worth judging. So maybe my resolution should be to be more selective with my judging? Like maybe I shouldn’t judge people who are just minding their own business, but I think it’s definitely okay to judge a little bit when murder is involved, right? Am I overthinking this? What do you think? Do you make resolutions? Are you excited for 2019? Tell me in the comments below! I promise I won’t judge you. Unless your resolution is more murder. Hey! is one of your resolutions to surround yourself with more delightfully awkward people? Come support the blog on patreon! This blog will always be free to read and free of ads, but if you believe that writers and creative types deserve to be paid for what we do, you can join the amazing community of Awkward Ambassadors and receive special perks from me so that I can devote more time to writing and creating better content by visiting my Patreon page. Thank you to these amazing Awkward Ambassadors! Ellen W. – Rachel P. – Hanna B. – Lena S. – Sara O. – Leah B. – Priya – Carolyn M. - William M.
I don’t know if this happens to anyone else, but I find that I’ve been going through phases of “creative ADD” lately. I like to do a lot of things. I write, obviously, but I also like to crochet and knit, to bake, and I’ve started to get into gardening and making our own hygiene products. Normally, I would never say that this is a problem. It’s fun to have so many interests and passions! And yet… for some reason, no matter what I’m doing at any given moment, I find myself yearning to do another thing. While I’m typing away at my laptop working on an essay, all I can really think about is whatever yarny project I have in the works. While I’m sitting back and knitting up a storm, I suddenly get the urge to go make a pie or have another stab at bread-making. And then out in the garden I suddenly have a great idea for an essay. And so the cycle continues. It’s exhausting. And I have no idea what to do about it other than wait it out and keep on plodding on. The good news is that it’s winter now, so the garden doesn’t need my attention, and plants don’t tend to survive in our house very well. But that’s only one out of the umpteen things I like to do now. So now I think I have to just schedule out my time in annoyingly structured segments, and I’ve tried to make a fun system by using my record player. I would put a record on and then switch activities every time I had to flip or change the record. Some things take longer than a record and cannot be paused. Baking for example is not a thing you can just walk away from and come back to later. Turns out that baking is annoyingly time-dependent. So, I’m on the hunt for a way to keep myself going while also not neglecting my activities. If you have any tips, I’d love to hear about them in the comments below. Until then, I’ll be knitting/writing/baking/doing whatever the heck my brain decides to focus on next. YOU CAN'T HIDE FOREVER, MOTHER. Does anyone else have a lot of questions? side note: This conversation happened five days ago and she STILL hasn’t texted me back. Halloween is easily my favorite holiday. I mean, I love Christmas, of course, but with Halloween, the pressure is so much lower, and it’s the time of year when being a weirdo and a freak is highly accepted. Where we live, however, trick or treating doesn’t really happen like it does in the suburban town I grew up in. Out here in the real Stars Hollow, there are probably more cows and wild turkeys than there are children, and the chances of coming across a sidewalk are, well, less than zero. So, the townsfolk have found an incredibly creepy alternative: Trunk or Treat, which feels like the most terrifying solution ever. If you’re unfamiliar with the concept, Trunk or Treat is where a bunch of people all gather in a parking lot, and kids go from vehicle to vehicle getting free candy from strangers out of the trunks of their cars. You know, like the very thing we’ve told children not to do for decades. I guess the idea was to make Trick or Treating safer by avoiding getting hit by cars or whatever, but doesn’t this just sound like the perfect scenario for kidnappers to commit their crimes right under our noses? Also, how else will these kids learn to safely walk the streets at night begging for candy? WE ARE DENYING THEM OF IMPORTANT LIFE LESSONS, PEOPLE. Does your town do Trunk or Treat? What are some of your favorite local Halloween traditions? Let me know in the comments below! For those of you wondering about how my rheumatology appointment went, I don’t really have many updates yet, but there are many people asking many questions and apparently my hips are confusing lots of professionals. I’ll give more details when I have them! May I Please Take a Bath in Your Home? So last week I was all “HOORAY I HAVE A DISEASE!” and ever since then I have been making all sorts of changes to my lifestyle while I patiently await my appointment with a rheumatologist. Only 2 weeks, 6 days, and 23 hours! I’ve been a vegetarian for about 10 years now. I’ve always continued to eat eggs and dairy because cheese, but generally my rule has been that as long as nothing died or was harmed for me to eat it, I’m good. But as I’ve done more research about this diagnosis (and anything similar to it), the major thing I’ve realized is that I need to up my Omega-3 intake. So… I’m eating salmon and most fish again. On the one hand I’m sad because I try and not be responsible for the death of any animals, but other hand it is delicious and my body should be a lot less angry with me than it was before, so… sorry, my fishy friends. I’ve also been making turmeric smoothies a lot. They’re an acquired taste, but one that I’m definitely getting used to. I’ve always really liked the idea of essential oils and aromatherapy, but now I have a full on oil-obsession. I actually just bought a book all about the many different uses of essential oils, and this baby is a mother-effing tome. Shown here with a normal-sized book for scale. When I first opened it to the “inflammation” section it immediately started talking about testicles, which really freaked me out, but then I noticed that I was in the “for men’s health” section and I was less scared, but also fascinated? I told The Mr that this book could really come in handy for all sorts of things and then he was all “thanks, but I don’t really have that problem, though?” to which I said “YET!” and then he just got up and left the room while looking at me with a mixture of fear and concern. I don’t know what his problem is. They always say that you need to find ways to keep marriage interesting and so far I think I’m doing a fantastic job. Where was I? Oh right! Oils! I finally got to the section about arthritis and the book was all “you need to take detox baths every day for six weeks with all of these oils and then massage your body with all of these other oils when you’re done!” which is a problem because we don’t have a bath. That’s not true, we do have a bath, but it’s not a nice bath. 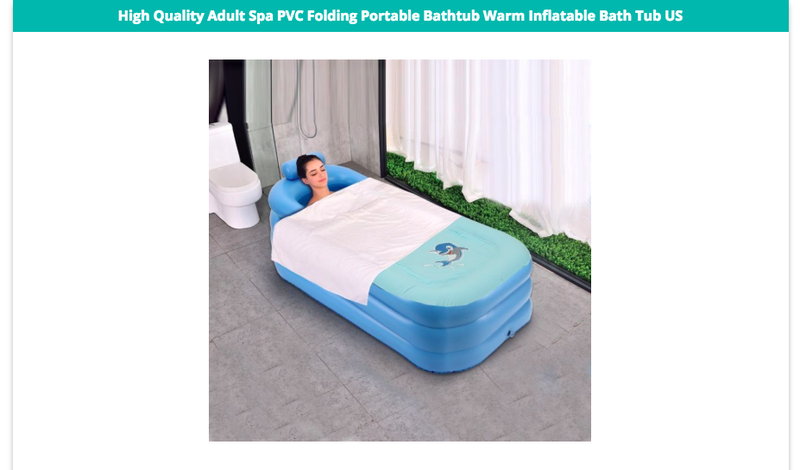 We have one of those bath tub/shower combos and the bath portion is kind of small, and our house and plumbing is really old so the water never stays hot enough to actually fill a bath with hot water, so then if I do try to take a bath I just end up uncomfortably sitting in tepid water. It’s not ideal. So I’m on a mission… to find a bath. Is it weird to ask someone if I can come to their house every day for six weeks and bathe? Would I have to pay them? Would I have to stay for dinner? I mean, they wouldn’t need to be there, right? If I could just get someone to give me their house key and then let me come and take a bath and leave…. or would that be creepy? I guess it would be creepy on both ends because who asks if they can bathe in your home, right? MORE IMPORTANTLY, though, is WHO LETS PEOPLE BATHE IN THEIR HOME LIKE THAT? It just seems like maybe I’m not the weirdest one in this scenario, which also feels weird because I’m generally always the weird one in any scenario. Like right now I’m pretty sure you’re reading this and thinking “What the actual heck, Emelie… YOU CANNOT DO THIS,” but you’re also probably like “She makes a good point. Anyone who lets her just show up and bathe and leave is a real weirdo,” right? And I really want to be that monkey.